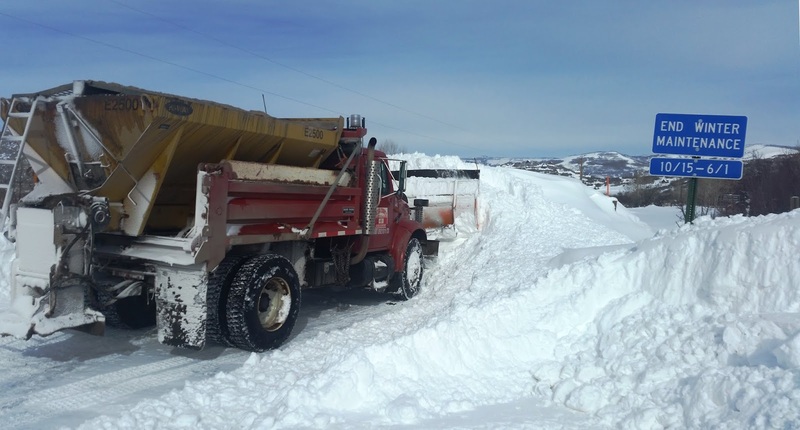 A Mesa County snow plow clears the road in Collbran Tuesday afternoon. While conditions are clear in the Grand Valley, the high country is covered in snow. The Road and Bridge Department is always busy working in a variety of terrain and weather. 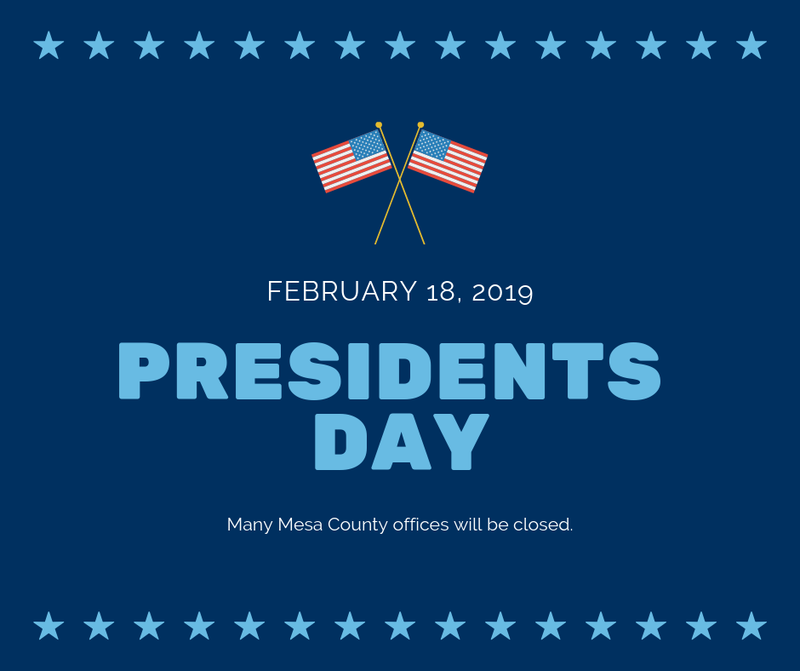 24 Road, south of I Road has been closed for a bridge replacement over the Grand Valley Irrigation Canal. Improvements continue on the 24-H.96 Bridge Replacement Project, which includes the construction of a new bridge over the Grand Valley Irrigation Canal, irrigation modifications, and road profile improvements. Road reconstruction to improve sight distance is underway at the intersection at 24 Road and I Road. The anticipated completion date for the 24-H.96 Bridge Replacement Project is May 2019. Mesa County received a grant from the Department of Local Affairs (DOLA) for this project. The road profile is being raised at the intersection between 24 Road and I Road to improve visibility. Public Works Operations Manager Connie Hahn and Regulatory Programs Manager Carrie Gudorf look around at the progress being made at the Bosely Wash project site Wednesday morning. 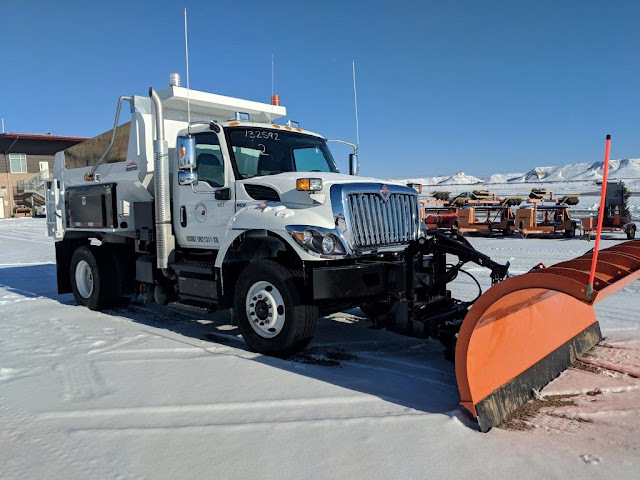 Mesa County received a grant from the Federal Emergency Management Agency (FEMA) for this project which covers a significant portion of the cost. The Bosley Wash Detention Pond Project is located on 34 Road, north of I-70. The project consists of the excavation and embankment of a dam and privacy berm, construction of concrete spillway, block drop structures, stilling basin, and realignment of the 34 Road right-of-way. The Bosley Wash Detention Pond Project sits near the base of Mt. Garfield. Bosley Wash extends from the rim of the Book Cliffs south to the Colorado River. Development within the wash is limited to the portion of the watershed south downstream of I-70. 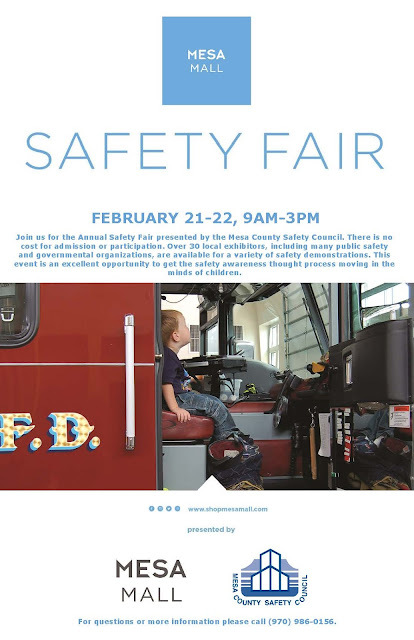 Last spring, Mesa County hosted an open house to share information on the intentions of the project and to gather citizen input from residents that live in the area. Construction of the spillway for the Bosley Wash Project is well underway. Mesa County applied for a FEMA Hazard Mitigation Grant Program grant in 2014 and was awarded the grant in December 2015. Mesa County has been working with an engineering firm since spring 2016 to develop plans to construct this detention basin, which is expected to be completed by the end of the year. Flooding from Bosley Wash occurs both upstream of I-70 overtopping or nearly overtopping the freeway, and downstream in developed residential and agricultural properties. The project focuses on reducing the potential for losses in the community by reducing the flood risk and loss of life that is presented with the current drainage system. The Bosley Wash Detention Pond project is a high hazard dam, which will be 62.8 acre-feet. Mesa County Planning Commission reviews and discusses two subdivision proposals and changes to the Mesa County Land Development Code during their monthly workshop on Thursday, Feb. 14. 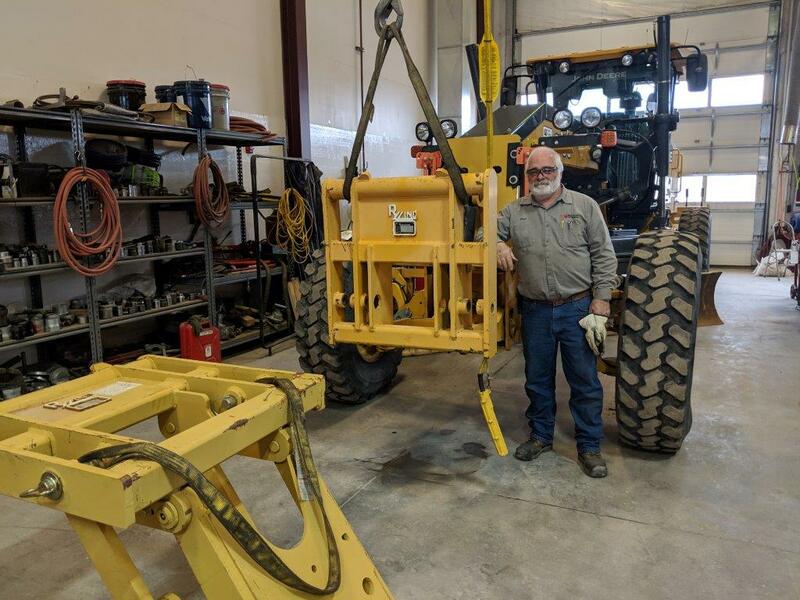 Construction Group Manager Laura Page attends a Qualified Stormwater Manager training that was put on by the 5-2-1 Drainage Authority to learn how to properly implement and manage stormwater sediment and erosion controls on construction sites in accordance with the Colorado Dept. of Public Health and Environment Water Quality permit. Qualified Stormwater Manager training attendees tour construction sites to learn about stormwater sediment and erosion controls. 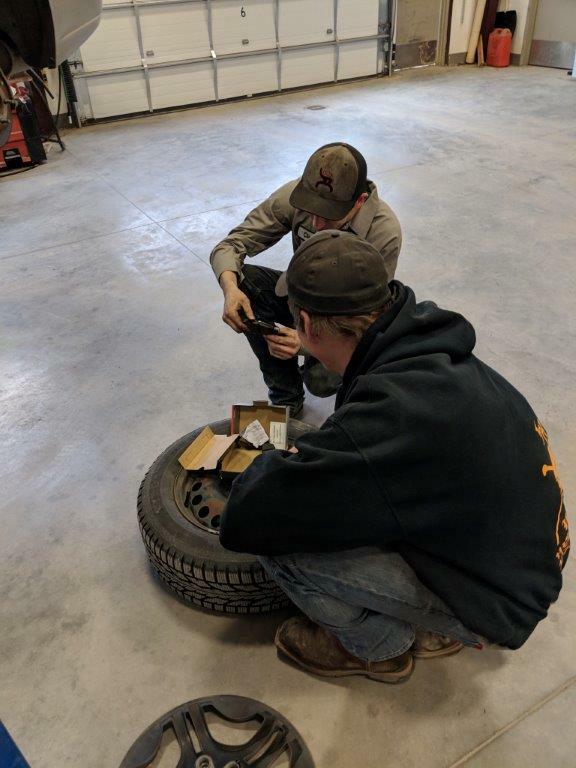 Fleet Management Techs Dustin Smith and Clay Modrick check the brake pad wear on a vehicle during a preventive maintenance (PM) service. Fleet staff installed radios and lighting on a new road broom for the Road and Bridge, Maintenance Division. Lead Shop Tech Steve Bell helps Shop Tech Dustin Smith diagnose an electrical issue. 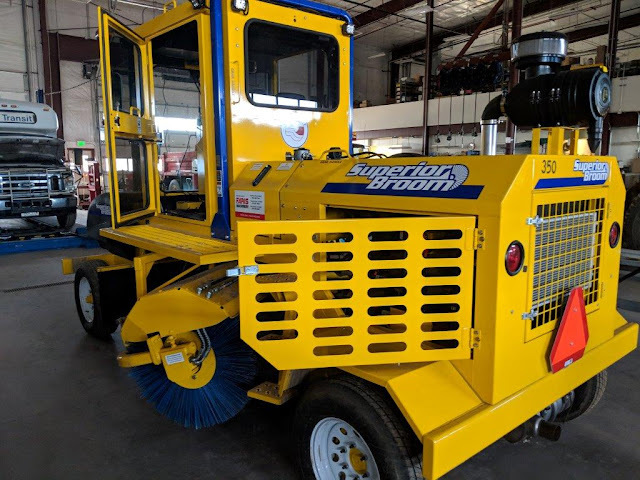 Fleet set up a new plow truck and sander for the Road and Bridge Department. 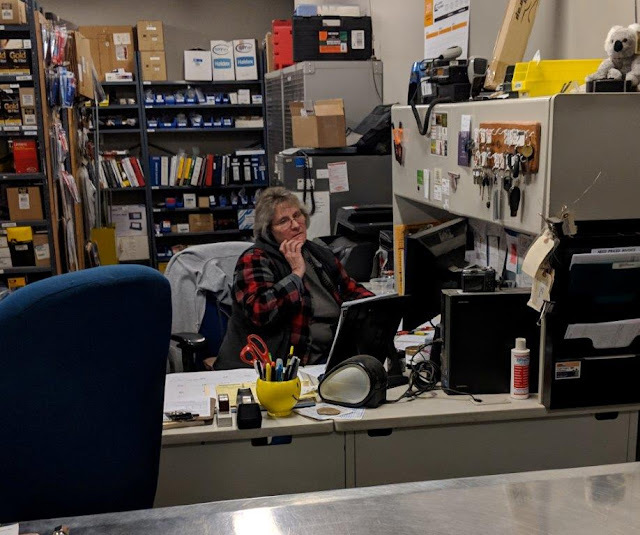 Parts Manager Darla Krummel orders parts to keep the Fleet trucking on! Fleet Tech Paul Popish keeps the heavy equipment in ship shape condition! 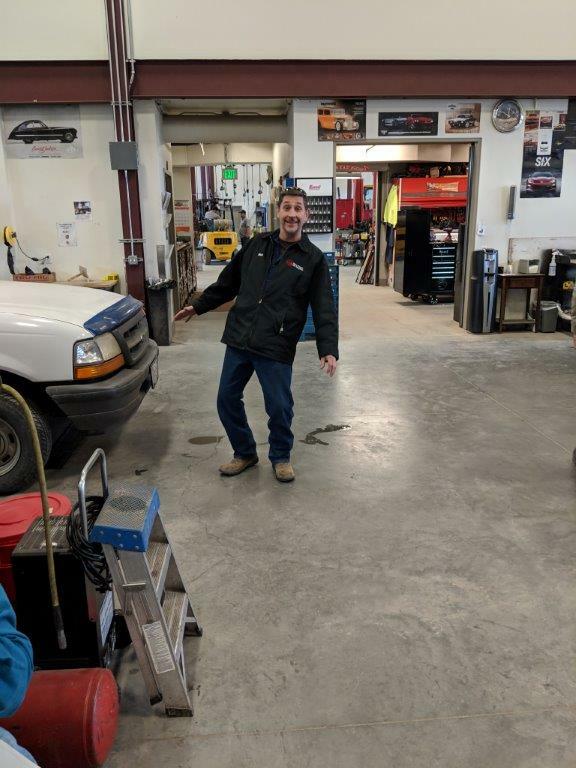 Parts Assistant Rick Winkelmann keeps things balanced in the shop! 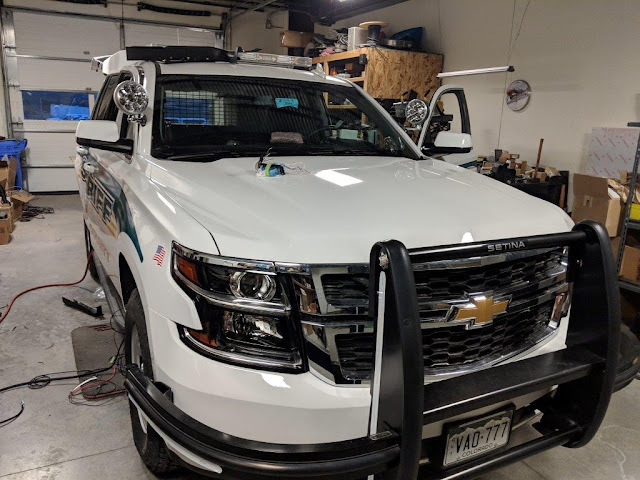 Shop Tech Dave Wolny is at it again building a new patrol SUV for the Mesa County Sheriff's Office. He is in there somewhere! Shop Techs Jake Cooper and Kaleb Horn replace the engine in unit #16 plow truck. 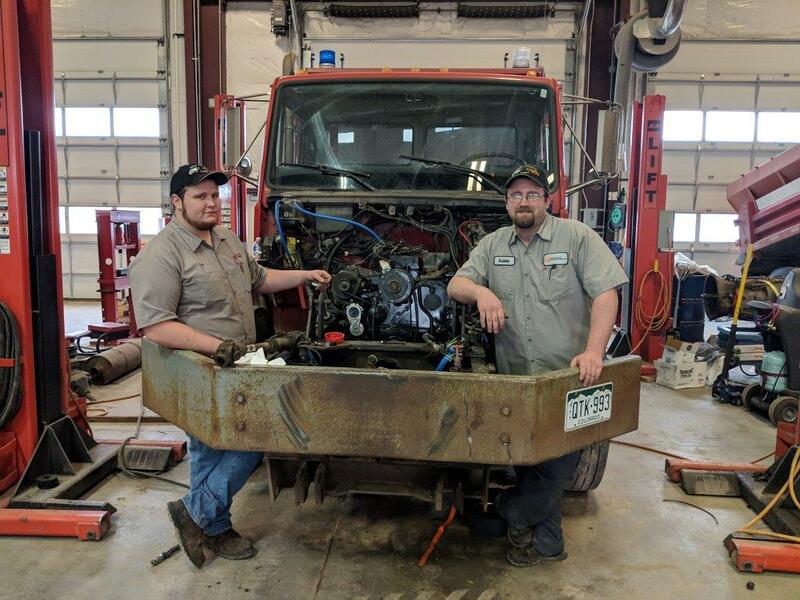 It's a Cummins! 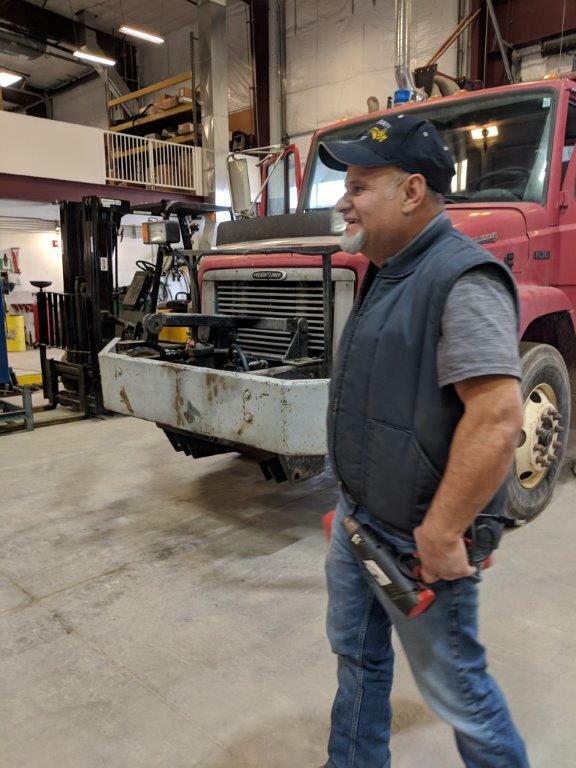 Welcome, Fleet Tech Ignacio Negrete to the Fleet Mangement Team! 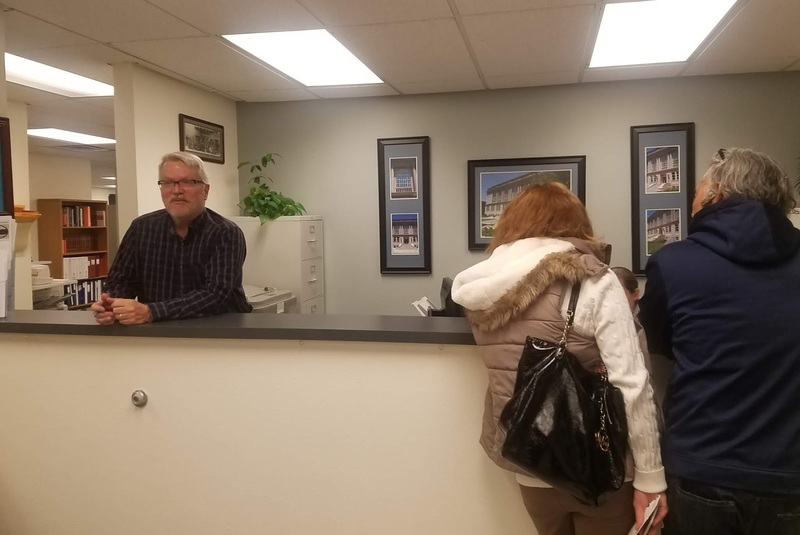 Mesa County Deputy Assessor Brent Goff, left, and Administrative Coordinator Jessica Sander assist residents Wednesday afternoon at the Assessor's Office customer service counter. 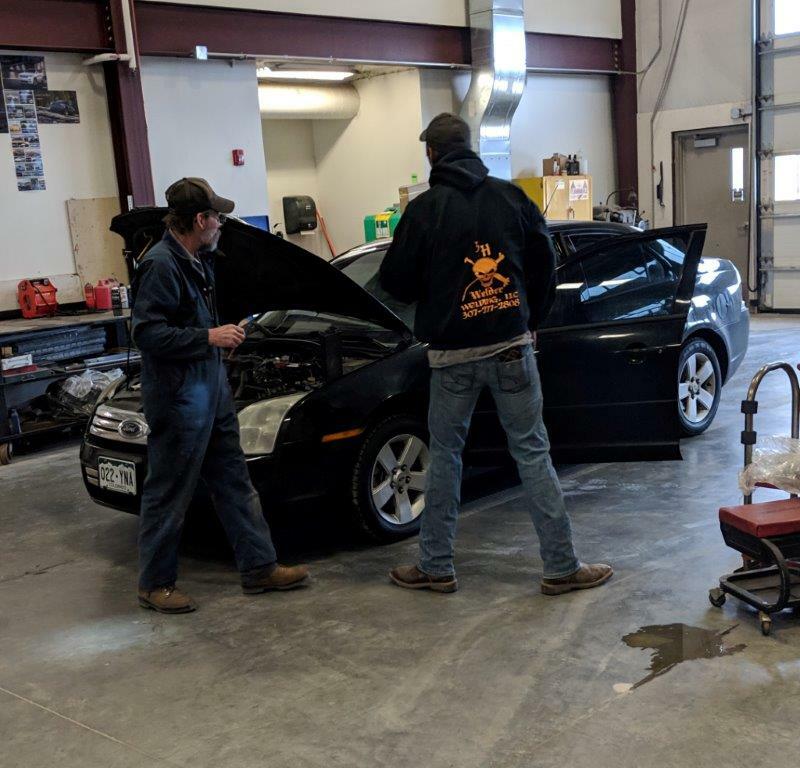 The Board of Mesa County Commissioners approved an amended conditional use permit for the Deer Creek Facility, 5180 Highway 50, in Whitewater. 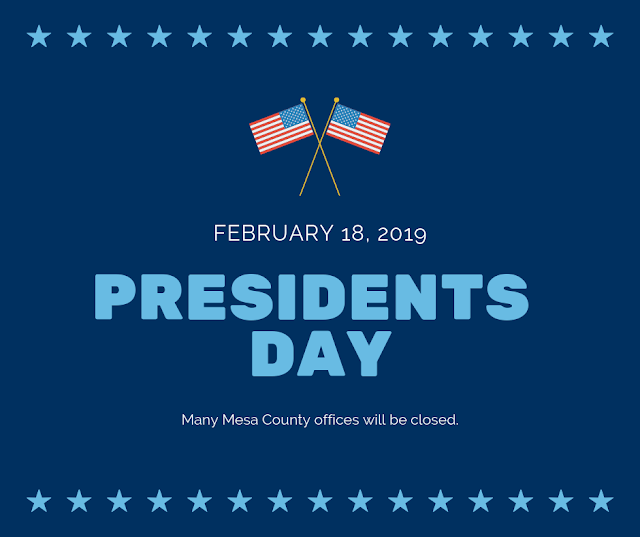 Review the details at http://sire.mesacounty.us/sirepub/mtgviewer.aspx?meetid=449&doctype=AGENDA. 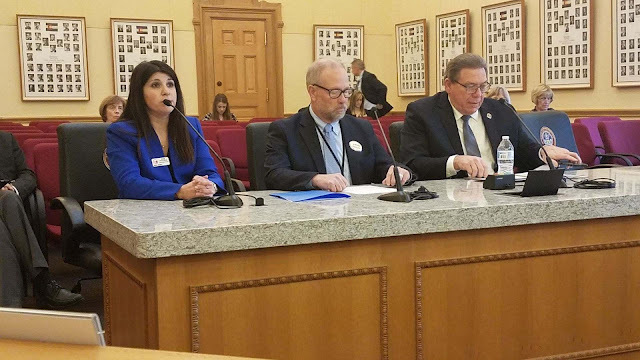 Mesa County Commissioner Rose Pugliese and Public Health Director Jeff Kuhr testify before the Colorado State, Veterans, & Military Affairs Committee in favor of the Regional Center bill (HB19-1067), which was referred to the Committee of the Whole on a four to one vote Wednesday afternoon. Mesa County thanks Senator Ray Scott and Representative Janice Rich for their leadership on behalf of our community and all those who testified and sent letters of support for the bill. Many Clerk and Recorder's Office personnel members wore red on Thursday for Valentine's Day. Pictured above from left to right: Belinda Knisely, Micaela Gaytan, Bonnie Maikoetter, Emily Salas. 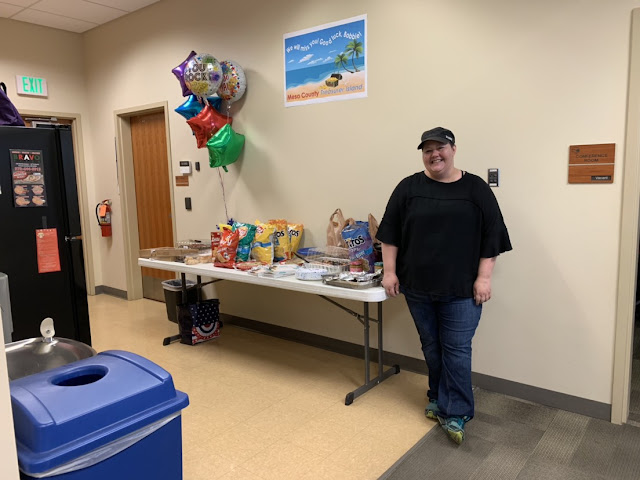 Motor Vehicle personnel and Clerk and Recorder Tina Peters celebrate Chief Deputy Clerk Heather Benjamin's birthday Thursday morning. Happy birthday, Heather! 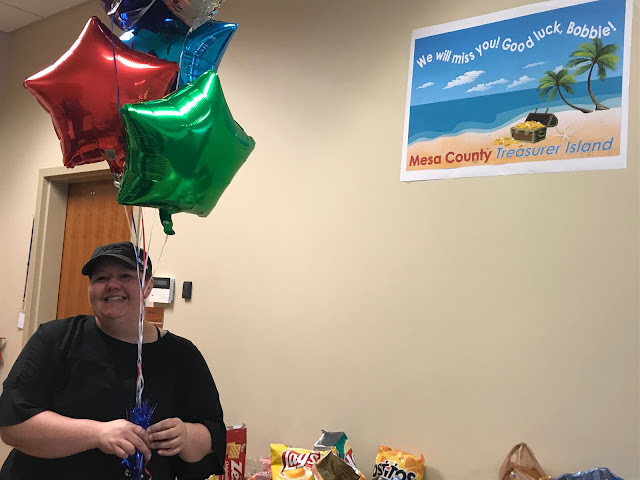 The Clerk and Recorder's Office hosted a farewell celebration for Bobbie Gross who will be joining the Mesa County Treasurer's Office. Bobbie Gross is excited to start on a new adventure with the Treasurer's Office. The 2019 Mesa County Safety Fair will be next week on Thursday and Friday (Feb. 21-22). 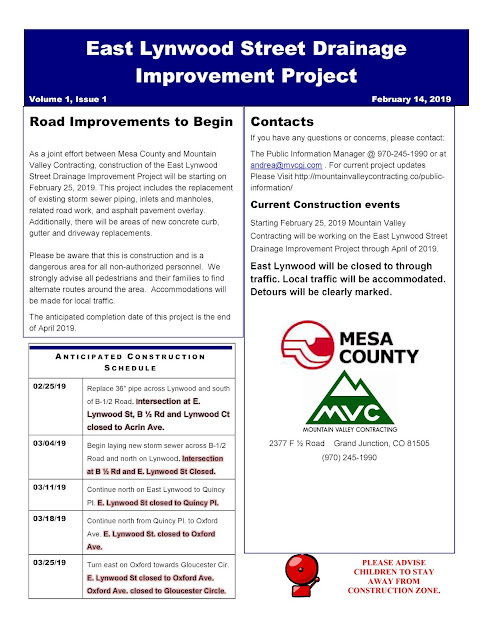 Orchard Mesa residents, the East Lynwood Street Drainage Improvement Project will be starting on Feb. 25. 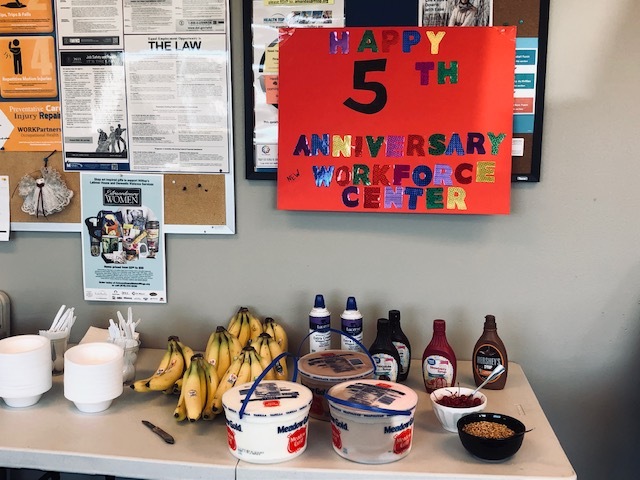 The Mesa County Workforce Center is celebrating five years at the 512 29 1/2 Road location. 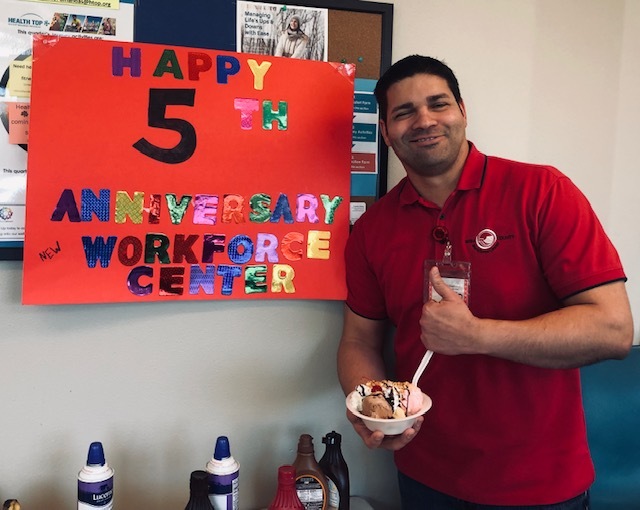 Workforce Center Employment Specialist Victor Carreras celebrates the anniversary with a bowl of ice cream. 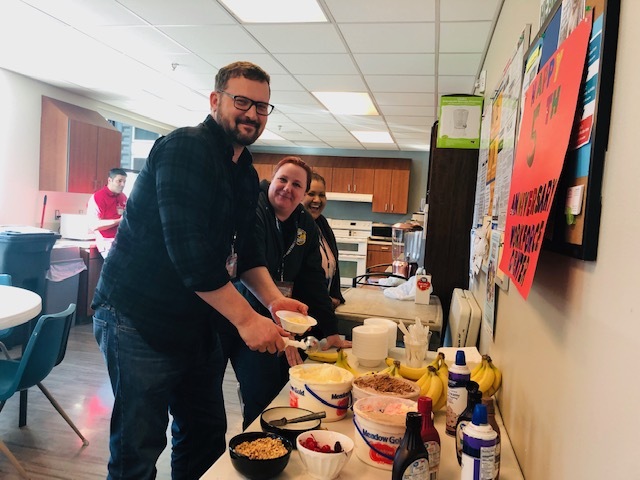 DHS and WFC personnel Neil Morris, Amanda Beck and Erica Castillo dish their banana splits. Yum! 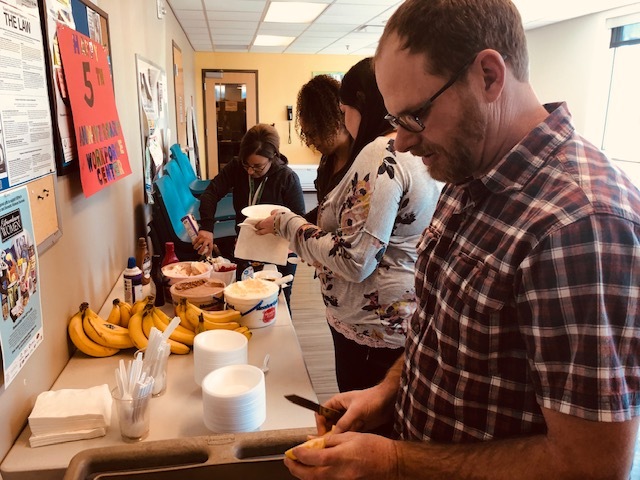 WFC staff members Jeff Stoddart, Jennifer Burke, Jennifer Vargas, and Sarah Mills enjoy an afternoon treat in honor of the Workforce Center's fifth anniversary.